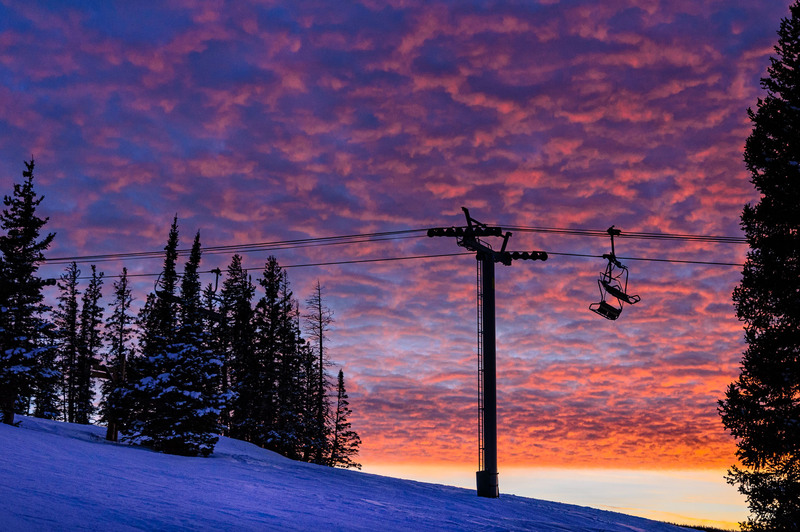 Silhouetted Ski Chair Lifts Against Pink Sunset Sky. Dramatic sky and clouds with silhouetted chairlifts. Captured as a 14-bit Raw file. Edited in ProPhoto RGB color space.